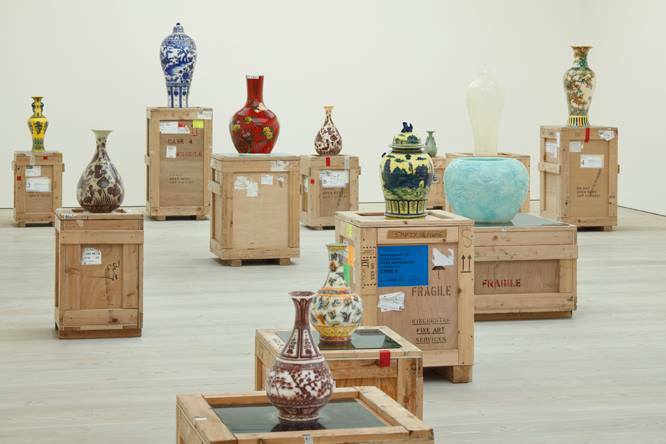 Congratulations to London-based Meekyoung Shin, who is on the shortlist for the National Museum of Modern and Contemporary Art’s Artist of the Year 2013. 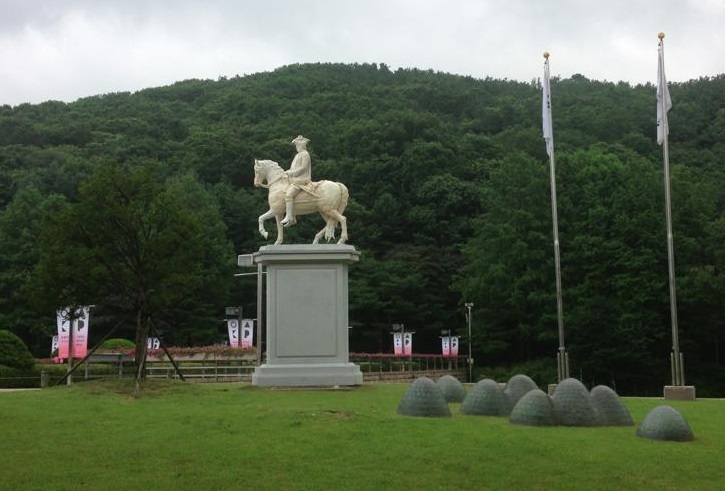 She’s recently been in Korea, overseeing the installation of a version of her Duke of Cumberland equestrian soap sculpture in the grounds of the museum in readiness for the opening of the Korea Artist Prize exhibition in the coming week. 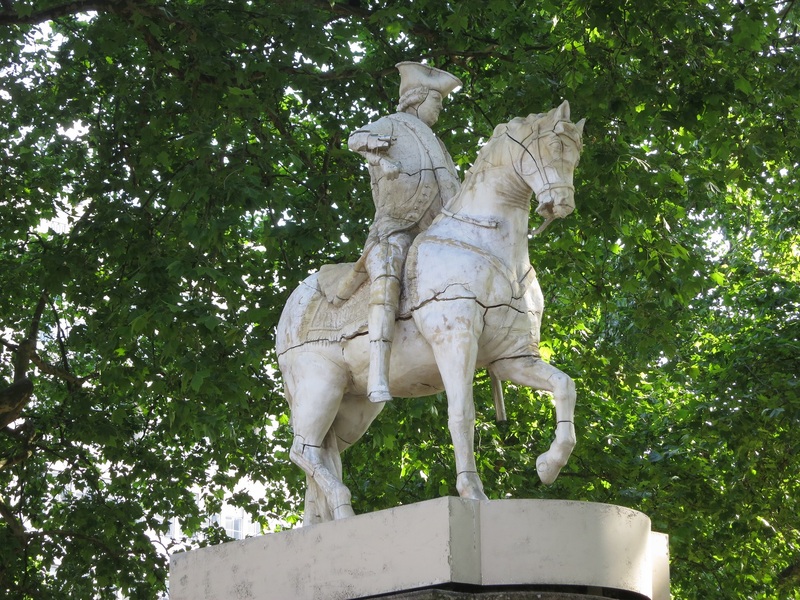 Her original Duke of Cumberland has had its life extended for 6 months in Cavendish Square – until 31 December 2013. It looks like his right hand will be the next major body part to drop off. He has already lost his left foot, but there is an increasing number of cracks appearing in the body of the horse. It’ll be interesting to see whether the current roasting temperatures in London will accelerate some changes through dehydration. Korea Artist Prize is a revamped edition of Artist of the Year, an annual exhibition with 15-year history that was first established in 1995. Co-sponsored by the National Museum of Modern and Contemporary Art, Korea and SBS Foundation, Korea Artist Prize adopted an award and sponsorship system. Its first edition last year signaled a successful start, garnering a great deal of attention from media and the public. 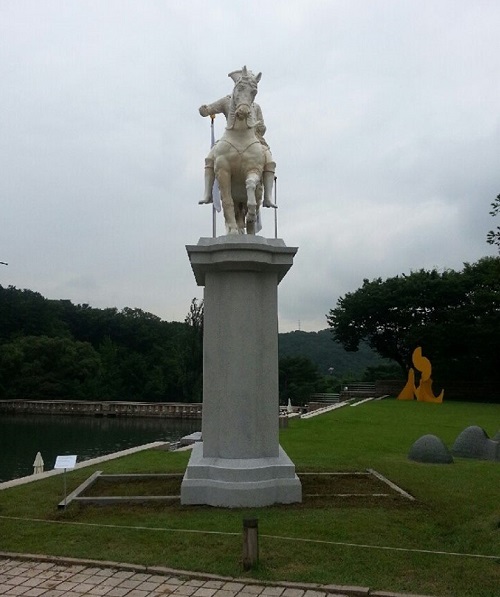 Now in its second year, the 2013 Korea Artist Prize seeks to identify and support talented artists who represent the vast potential and future vision of Korean contemporary art through the works that have significantly contributed to the development and advancement of Korean art. Offered in conjunction with an exhibition of works by the selected artists, the 2013 Korea Artist Prize adheres to its mission of promoting a vibrant art scene in Korea and presenting new trends and discourses within Korean contemporary art. The selection process of the 2013 Korea Artist Prize involved a selection of ten recommenders and five judges by its management committee. The ten recommenders, including representatives from the museum as well as other critics and scholars of Korean art, submitted their artist recommendations. These recommendations were then carefully reviewed by the five judges representing both the domestic and international art community. The review process resulted in the final four candidates of Korea Artist Prize: Sung-Hun Kong, Meekyoung Shin, Haejun Jo, and Yang Ah Ham. 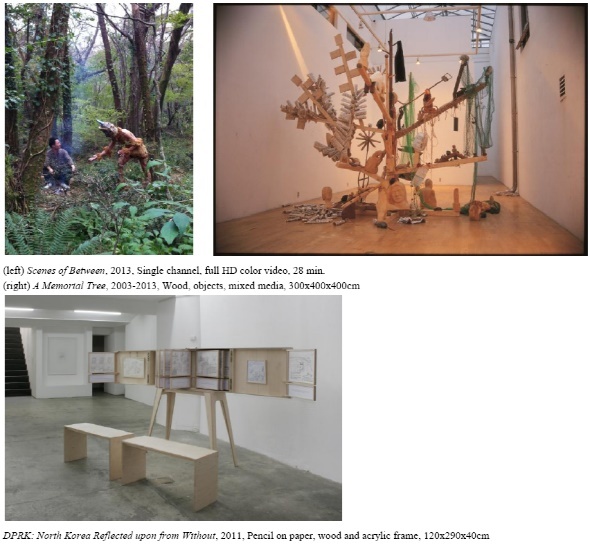 These four artists will showcase their works in 2013 Korea Artist Prize exhibition, which is to be held at the National Museum of Modern and Contemporary Art, Korea from July 19 to October 20, 2013. In September, the final evaluation will take place based on the works included in the exhibition, to select the recipient of the 2013 Korea Artist Prize. We ask for the audience’s continued interest and support as we await with great anticipation the selection of the winner among the outstanding four artists presented here. Sung-Hun Kong (b. 1965)’s paintings of dreary winter scenes are not about the awe of nature nor the sense of sublime beauty that typically resonates from such awe. Instead, his paintings reveal nature at its exhausted state after having been endlessly exploited and ingested by people until it became no more than a prop on a theater stage. Nonetheless, the tempestuous clouds and storms that engulf his landscapes impart the enduring power that will always remain beyond human control. Such attributes might be an intrinsic part of nature or other unknown forces that defy human control. Some easy examples include situational variables like economic crashes or human desire in a constant state of flux. The power could also symbolize immediacy of crises, imminent threats of war and violence, or even the relentless vulgarity of our society itself. The admiration we feel for the artist’s paintings does not originate from the inherent sublimity of nature represented in the works. In fact, his landscape have an effect more akin to a Pierrot, whose extravagant dress of bright colors and lavish decorations cloak his inherent gloom in a futile attempt. Likewise, Kong’s views of nature initially present an impressive spectacle, but any feelings of veneration or magnificence the viewer might experience immediately vanish upon discovering a human being rendered in miniscule in the corner of the canvas. The sublimity of the presented landscape, hence, exudes from the artist’s control over the canvas rather than the nature itself he so exquisitely depicts. Kong singlehandedly and faithfully transforms a mere spectacle of nature into a painting rich with multiple layers of meaning and emotion. Meekyoung Shin (b. 1967) continues to redefine sculpture through the theme of “translation.” Shin’s method of translation involves recreating classic stone or marble sculptures with soap, a very soft and soluble material. Through her translations, our “solid” knowledge of the classic archetype is transformed, replaced by something much softer and more malleable and delicate. Accordingly, we are forced to question the supposed permanence of the values of these classic works. In addition, her translations reflect the dissolving borders and ever-accelerating experiences of life in contemporary society. The artist’s translations do not always remain faithful to the original. In fact, they sometimes emphasize the differences between the original and the reproduction whether through a direct translation or a more creative, flexible translation. In her more direct approaches that emphasize these discrepancies, Shin has added her own face to the body of a classic Greek statue and created a transparent ghost out of the “westernized” version of Chinese ceramics that were made exclusively to meet the Western taste for the sole purpose of export. At other times, more subtle yet fundamental differences emerge. For instance, she often makes use of our olfactory awareness through the scent of soap, thereby deviously reminding us that vision is not the only perception through which we can grasp the essence of our environment. By evoking the various modes of sensory perceptions, Shin’s works expand the boundaries of contemporary art and ultimately our society. Since 2002, Haejun Jo (b. 1972) has collaborated with his father, Donghwan Jo, to produce a diverse series of drawings that offer glimpses of an ordinary person’s life amidst the tumultuous Korean modern history. The collaboration has continuously evolved by expanding its medium of expression from drawings to installations, comic books, and films. Sometimes humorous, sometimes prosaic, sometimes tragic, the early drawings were based on the personal accounts of Jo’s father. The series of drawings from the recent years began to encompass the artist’s own stories when the conversation between the father and son approached a territory that remained unknown to the father-the son’s school days. This collaborative process eventually touched upon the life stories of Jo’s relatives and the activists who have participated in Korea’s pro-democracy movement during the 1980s. As visible in the recent drawings that depict the lives of East-European immigrants in Germany, foreign students who have studied abroad in North Korea, and Arab clerics, the artist continues to stretch his horizons outward, into the realm of world history. Scenes of Between presents the audience with a binding link that connects the voiding gap between two generations, father and son. 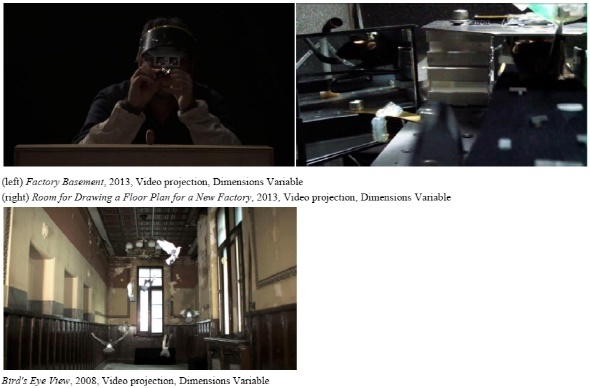 In the process, Jo offers a record of how other belongings of the in-betweens, such as the realm of the uncanny that lies between reality and fantasy, slices of different lives precariously attached to the cracks and edges of world history, and an humble ordinary’s creation get elevated to the status of contemporary art. Lying amidst these intermediary landscapes is art that mediates, heals, and reconnects the generational gaps by initiating communication. According to Yang Ah Ham (b. 1968), Nonsense Factory is a mirror in which we can observe our society, and indeed, the work parodies contemporary life like a theater of the absurd. Based on a short story written by the artist, Nonsense Factory consists of six parts: “First Room: Central Image Box Control Room”; “Second Room: Welfare Policy Making Room”; “Third Room: Coupon Room”; “Fourth Room: Artists’ Room”; “Fifth Room: Factory Basement”; and “Sixth Room: Blue Print Room for Future Factory.” The parts respectively address the following themes of contemporary society: the ubiquity of images; happiness as an institutionalized ideology; capitalism and the monetary economy; the cultural snobbery in the arts; the precarious state of idealistic values; and the endless competition inevitable to a growth-oriented society. The work represents a grand metaphor of life in the highly industrialized society of the early 21st century, forcing us to re-examine the values that we habitually ingest like air and water. Nonsense Factory forces us to carefully consider the absurdities and complexities hidden in plain sight in our day-to-day existence.